Pyramid: Quest for Immortality Slots | Win big today! 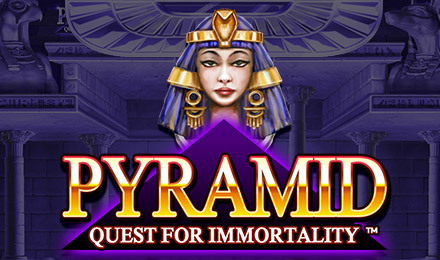 Pyramid: Quest for Immortality online video slot game has 5 reels, a whopping 720 win ways, and a generous RTP of 96.48%! Play now and win big! Pyramid: Quest for Immortality Slots is packed with bonus features and exciting surprises! Unlike your typical video slot game, the symbols in Pyramid fall into place from top to bottom, and explode and disappear with every winning combination. There’s also an Avalanche Multiplier that will reward you with generous multipliers! The game’s Wild can appear on the 2nd, 3rd and 4th reels, and there’s a Wild Generator that can grant you with extra Wilds and more wins!